Late this spring, The Southeastern PANS/PANDAS Association (SEPPA) hosted a screening of the documentary “My Kid is Not Crazy” by Emmy-nominated director Tim Sorel at the Landmark Midtown Art Cinema. The film tracks the journey of 6 children who have a dramatic, overnight personality change, developing severe psychiatric symptoms. The families discover their children- labeled mentally ill- actually are suffering from a treatable autoimmune condition triggered by strep. Pictured: SEPPA’s Board of Directors with My Kid is Not Crazy Director, Tim Sorel. 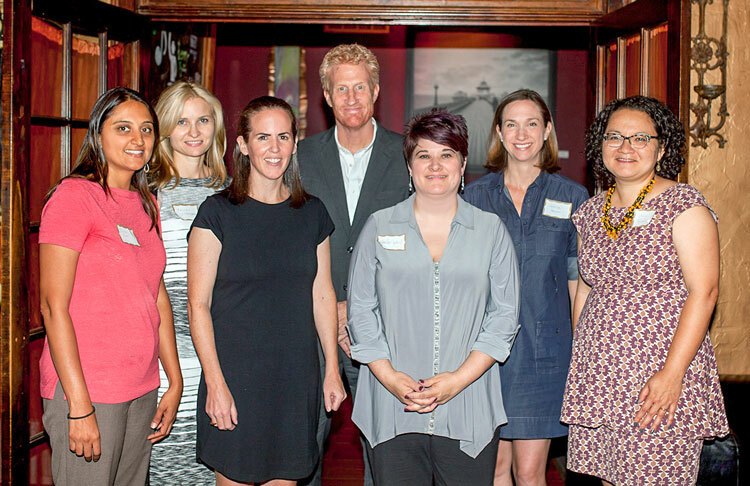 From left: Divya Patel, treasurer: Kelley Utterback, Vice-President; Marie Drury, Vice-President; Tim Sorel, Director; Heather Ward, Vice-President; Jessica Gowen, President; Jamie Ravenscraft, Secretary. Photo by Nichol Colwell. This medical illness, which masquerades as a psychiatric condition, is known as PANDAS (Pediatric Autoimmune Neuropsychiatric Disorder Associated with Streptococcal Infection). PANDAS is a subtype of Pediatric Acute-onset Neuropsychiatric Syndrome (PANS). In attendance were SEPPA’s Board of Directors, many PANS/PANDAS families, medical and mental health providers, and allies. After the movie, local Psychiatrist Eric Fier, MD, moderated a Q&A session with a panel including Sorel and SEPPA President and parent advocate Jessica Gowen. “My Kid is Not Crazy” is now available for purchase as a Blu-ray at www.mykidisnotcrazy.com or as a rental from Vimeo at https://vimeo.com/ondemand/mkinc. SEPPA is a group of medical professionals and parents who have teamed up to raise awareness about PANS/PANDAS, and to expand access to insurance-based medical care for children and families facing these illnesses. For more information about PANS/PANDAS or SEPPA visit www.sepans.org or contact Jessica Gowan at 404-783-1195.